The Electronic Holistic Needs Assessment, Care and Support planning tool has been developed over the last four years. Working with NHS trusts, the charity has developed an effective, easy-to-use tool that provides a simple process for assessing the needs of cancer patients and providing appropriate care and support. All of this is written-up in an electronic record that can be saved and shared with patient and the wider MDT. 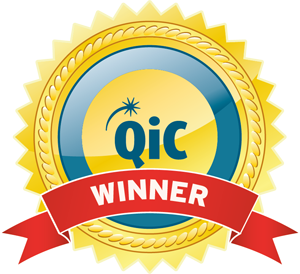 It starts with the patient filling in a questionnaire about his or her concerns, on a touchscreen device, and the concerns are sent to his or her health or social care professionals to help inform his or her discussions. Research tells us that a quarter of cancer patients have unmet needs a year after treatment, due to cancer or its treatment. Effective assessment and care planning to identify people’s concerns and needs can lead to early intervention, diagnosis of consequences of treatment, improved communication and better equity of care. 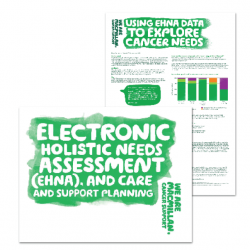 The development of Macmillan’s electronic Holistic Needs Assessment (eHNA) began in 2011 with the aim of providing a tool to facilitate these improved outcomes for patients and to provide management data to support the work of healthcare professionals and inform commissioners. Data identifying the number of assessments carried out on paper has been difficult to measure, adding further weight to the case for an easy-to-use electronic tool. To develop an electronic format for holistic needs’ assessment, care and support planning, meeting strict information governance criteria and data protection regulations. To approach and engage with Trusts and community teams which wish to use the eHNA and care planning tool and ensure that feedback is used to develop the tool and any ideas are scalable. To use data from the eHNA, care and support plans to understand the needs of cancer patients and support service planning.